Maharishi Mahesh Yogi was the world’s foremost teacher in the field of consciousness and its application to living the full potential of life. He is known for his practical, scientific approach and his lifelong devotion to bringing enlightenment to every individual, invincibility to all nations, and peace to our world. He worked ceaselessly to bring the broad range of benefits of his effortless natural meditation program to people everywhere. Maharishi revived the ancient meditation technique of “effortless transcending”—long lost to society even in India, the land of its origin—and reestablished the technique’s original effectiveness. He systematized the training of teachers and the teaching of the technique into a seven-step course so that instruction would produce consistent, positive results for people everywhere—thereby preserving the Transcendental Meditation technique for this and future generations. The stale, once common belief and misunderstanding that effective meditation is arduous and requires many years of practice to truly succeed—and that the full benefit of meditation is available only to recluses or monks—was shown by Maharishi to be erroneous. In fact, the Transcendental Meditation technique is an effortless procedure anyone can practice, through which immediate, as well as long-term, benefits are gained. Maharishi did not seek personal acclaim, but simply served as a teacher and restorer of Vedic knowledge—the pure and complete knowledge of reality. From his movement’s quiet beginnings in India in 1955 to the establishment of more than 1,000 TM centers worldwide, over six million people have had the benefit of Maharishi’s one-pointed focus. Maharishi created a self-sustaining, non-profit, educational organization with global scope to provide instruction in the technique and train certified teachers. Always acknowledging and honoring the source of the wisdom that he was teaching, Maharishi gave complete credit to his teacher and the Vedic tradition—the lineage of great masters of total knowledge through whom the teaching flows from generation to generation. 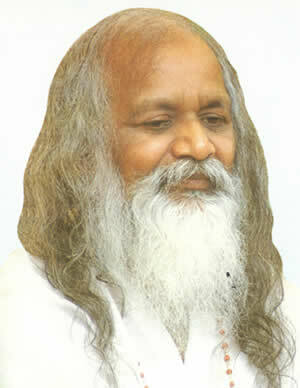 Maharishi’s success as a meditation teacher is unprecedented. Never before in recorded history, even as far back as the flowering of Zen throughout Asia, has a meditation technique been learned by so many people during the teacher’s lifetime—and with such demonstrable results. The Transcendental Meditation technique has spread naturally and effortlessly throughout the world mostly by word of mouth. A meditation practice could be this successful only if it were uniquely effective, and it could be this effective only if its founder possessed a clear, comprehensive knowledge of consciousness and human potential. Maharishi’s further achievement was to establish the practical benefits of meditation on the empirical ground of science, by inviting scientists everywhere to research the TM technique—lifting spiritual development from the realm of mysticism and bringing it into the clear light of objectively verifiable knowledge.